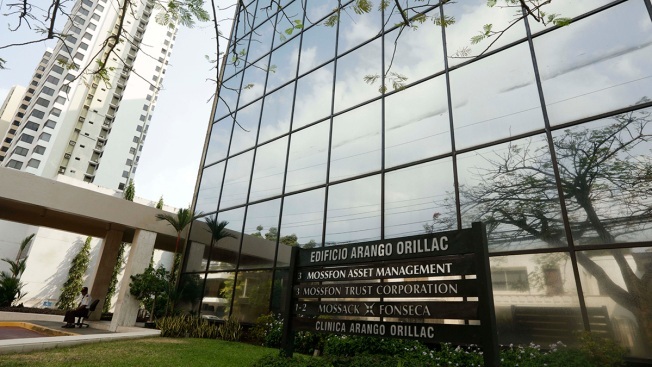 A marquee of the Arango Orillac Building lists the Mossack Fonseca law firm in Panama City, April 3, 2016. Journalists from publications around the world worked to obtain a vast trove of documents detailing the offshore financial dealings of the rich and famous.The International Consortium of Investigative Journalism said the most recent trove contains includes nearly 40 years of data from the Panama-based law firm Mossack Fonseca. Federal authorities announced a raft of conspiracy and tax fraud charges Tuesday against four men in the first U.S. prosecution related to the so-called Panama Papers. The Panama Papers include a collection of 11 million secret financial documents that illustrated how some of the world's richest people hide their money. The records were first leaked to the Suddeutsche Zeitung, a major German newspaper, and were shared with the International Consortium of Investigative Journalists, which began publishing collaborative reports with news organizations in 2016.